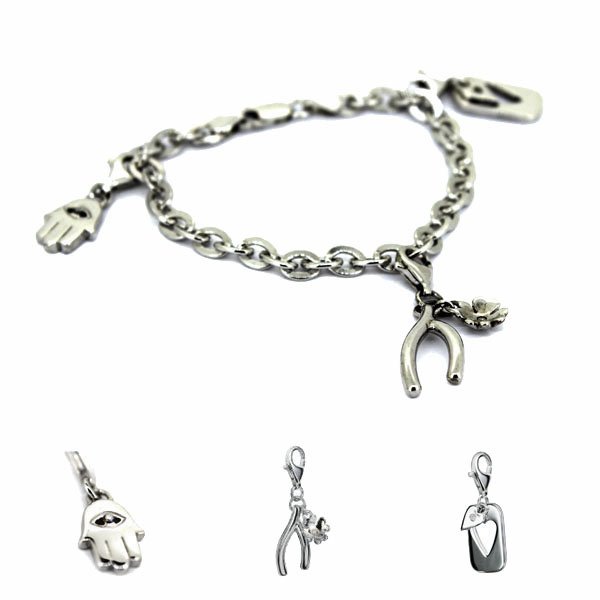 Bracelet flat forced Hot Diamonds with charms hand of Fatima. Bracelet Rolo silver rhodium-plated 925 thousandths. Chams Hot Diamonds, hand of Fatima and amulets of luck and love. The Hot Diamonds Charms are combinable.